In addition to main components (alcohol and water), the formulation of vodkas contains various ingredients such as sugar, honey, tinctures of herbs or cereals (wheat, rye, rice, oats, etc). 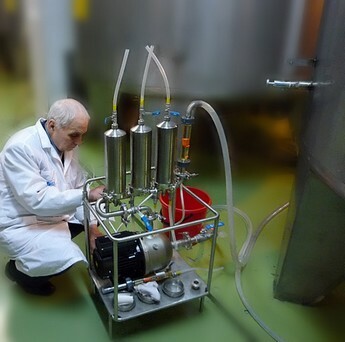 The content of ingredients in the beverage is small but addition of unconditioned (unfiltered) ingredients significantly reduces the throughput of filter elements used for pre-filling final filtration. Reduction of the throughput can be very significant. For example, addition of rice tincture at one enterprise resulted in 5-fold reduction of the throughput! 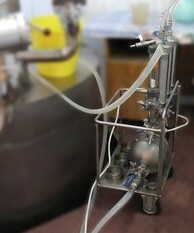 To ensure purity of the beverage and increase throughput of downstream filters, the ingredients should be prefiltered. As a rule, prefiltration is implemented in the form of two or three stages, each stage comprising one filter. Such systems can be stationary (see Fig.1), but we recommend mobile units, because stationary systems are not always convenient. 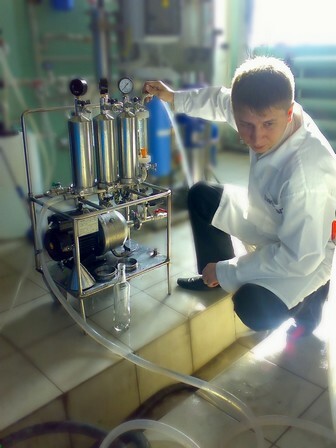 The UPF.R system is used in food industry in production of beverages and is intended for fine cleaning of vodkas, wines, tinctures, liqueurs and other alcoholic and non-alcoholic drinks. 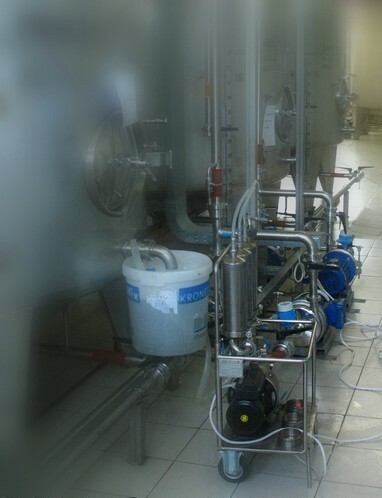 The system can be used on industrial scale for filtration of beverages (production rate: 250 to 1000 l/hour) as well as for filtration of small amounts of products and ingredients, for test filtrations and for perfection of various technologies. Small dimensions and weight make it possible to use the system in constrained conditions, easily move the system from one room to another, connect it to any tank. One-seat holders make it possible to reduce filtration costs, select the most suitable set of filter elements, carry out filtration of a small amount of souvenir products or ingredients for the main product (honey, tinctures, etc) as well as re-process pure waste. - manifold piping, stop valves, rotameter.